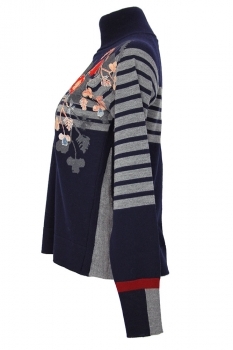 High navy blue, fitted, high necked collar pullover with printed and appliqué flower designs and grey stripes, 'Animate'. The grey stripes continue down the arms to just below the elbow.The cuffs are ribbed with knitted grey and burgundy block details, which are different on each cuff. Grey triangular insets at each side. Ribbed waistband. 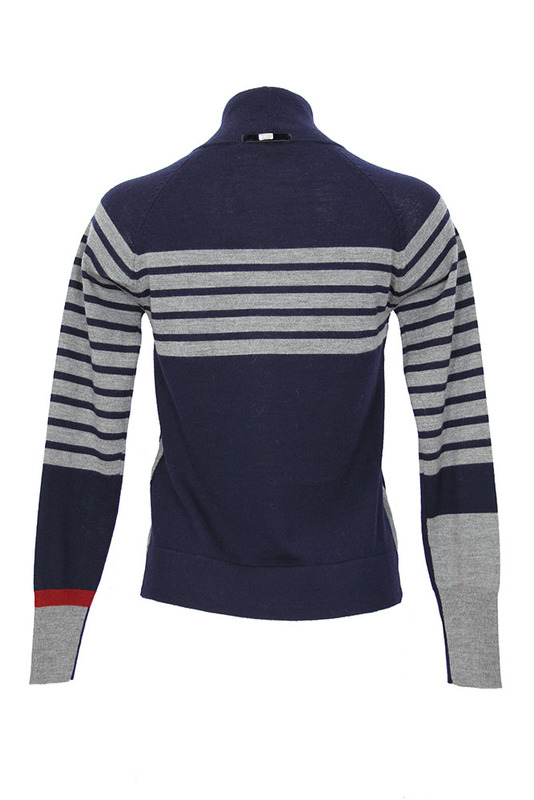 Grey stripes on rear and velvet tag with metal 'High' stud just below neck.